RECTOR and FOUNDER of Maitriyana Buddhist University since 2005, creating a New Way of Buddhism called Maitriyana. Receptor of higher Buddhist Degrees from World Association of Theravada, certifing him as Agga Maha Pandita (Great Chief Scholar), Abhidhaja Maharatthaguru (Most Eminent Spiritual Master), Sangharaja (Supreme Patriarch) and Vinayadhara (Buddhist Jurist). 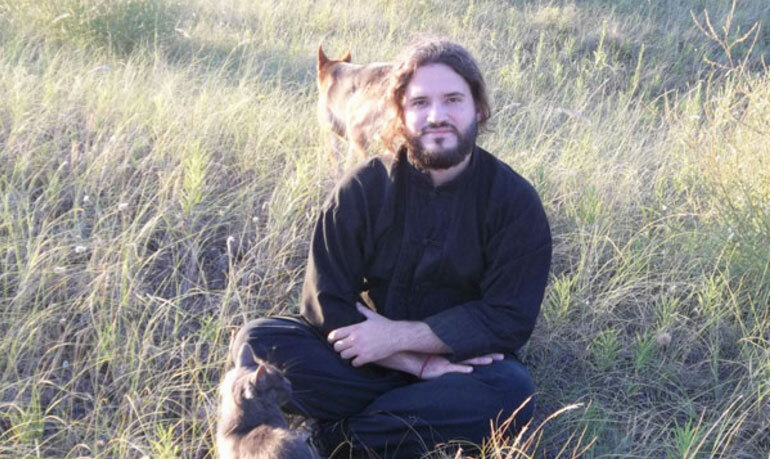 He has graduated as Master in Eastern Philosophy specialized in Buddhism. Also, he has graduated as Social Psychologist, Psychoanalyst, Counsellor, Transpersonal Therapist, Philosopher, Political Scientist and Jurist. Moreover, Master Maitreya is graduated as Expert in International Law, Human Rights, Constitutional Law, Indigenous Peoples, Environmental Law, and Public Health. Master Maitreya has a mastery certificate in Justice from Harvard University. Graduate in Integral Psychology, Analytical Psychology, Oriental Psychology, Paranormal Psychology, Metaphysical Philosophy, Comparative Philosophy, Comparative Religion, Yoga and Alternative Medicine. He has graduated as Bachelor in Humanistic Sciences. Graduated in Cooperative Teaching and Philosophy with children. Graduate in Sartrean Thought at University of Buenos Aires. Creator of Buddhist Psychoanalysis in 2007. Receptor of the “Gautama Peace Prize” in 2013. Founder and President of the international temple World Association of Buddhism since 2012, leading the organization of the Seventh Buddhist Council. Founder and President of the International Buddhist Ethics Committee & Buddhist Tribunal on Human Rights since 2015. Founder and President of United Buddhist Nations Organization since 2016. Founder and President of the World Association of Buddhist Universities & Progressive Education (WABUPE) since 2014. Founder of International Association of Buddhist Socialism since 2014. Creator of the “Universal Declaration of Spiritual Rights”, the “Universal Declaration of Ecological Rights”, the “Universal Declaration of the Right to World Peace”, the “Universal Declaration on the Rights of Buddhist Peoples and Spiritual Communities”, the “Universal Declaration on the Rights of Non-Human Beings”, the “Universal Declaration on the Right to Interspiritual and Interfaith Harmony”, the “Universal Declaration on the Responsability to Save the World”, the “Declaration of Independence of the United Buddhist Nations Organization”. Member of the National Association of Political Scientists. Member of the Asian Society of International Law. Member of the International Association of Genocide Scholars. Member of the Commission on Legal Pluralism.